about a week ago I switched from the default IDEA skin to the new Dracula skin. The main reason was that I read somewhere that the new Dracula skin should solve some render issue (especially on Linux/OSX). I can remember anymore where I read it. Anyway, so I switched to the Dracula skin on my Linux computer running Ubuntu 13.4 (with Unity) and IDEA 12.1 and I have a very annoying rendering bug: quite often when a dialog window shows up I can see the frame but not the content of the dialog. 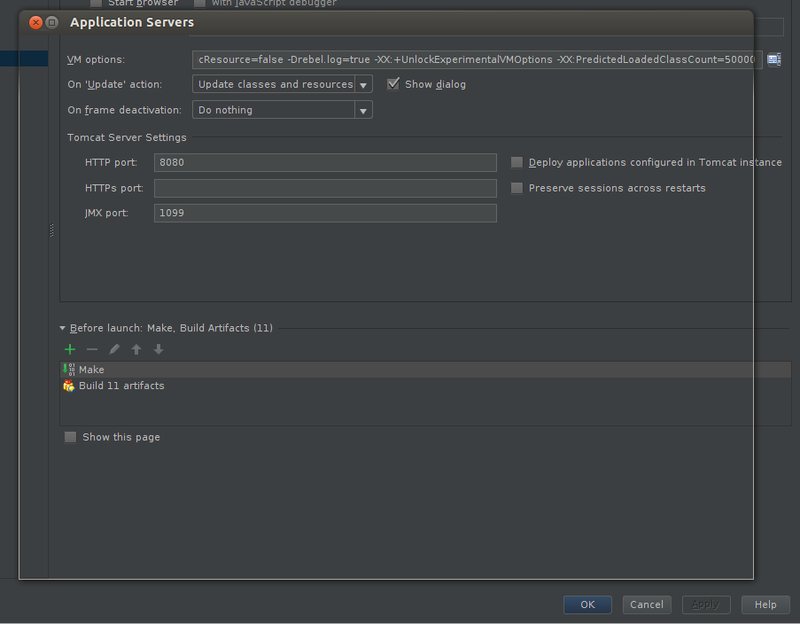 The example I attached if the "Configure application server" dialog from the "Edit run configuration" dialog. Interesting side fact: as far as I recall I never had a issue with the "Edit configuration" dialog itself. That one seem to always show up fine. On the other side the "Configure application server" button seems more often to be broken then it seems to work to me. The problem also shows up on various refactoring dialog, confirmation dialog. It can't figure out a pattern why it works some time and why it doesn't the next time. The current 12.1 EAP (129.961) did not solve the problem. And I never ever had that problem on the old skin. Is this something you guys are aware of? EDIT: Originally I wrote IDEA 13.1. Of course I meant 12.1. 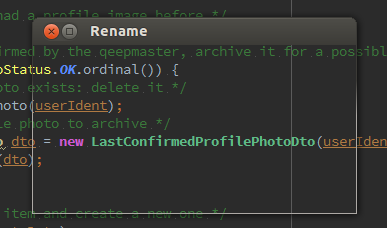 EDIT2: I added another nice example showing the "Refactoring Rename" dialog. that's the problem with recent version of Compiz WM. Unfortunately we haven't found a workaround yet. Please watch IDEA-110048 for progress. Ah, I see. Thanks for the link.